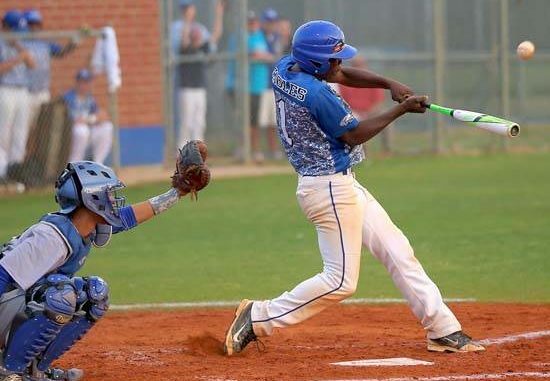 With their 32nd round pick, 967th overall, in the 2018 MLB First Year Players Draft the New York Yankees selected Sincere Smith, a shortstop out of East Bladen High School in North Carolina. Sincere is a versatile athlete that played both baseball and football in high school, playing shortstop and pitching for the baseball team while playing quarterback, wide receiver and cornerback as a member of the school’s football team. Wow. Let’s meet this young man. This is Meet a Prospect: The Sincere Smith Edition. Smith stands at 5’11” and weighs in at 170 lbs. while throwing and batting from the right side. Smith was a Four County (NC) All-Conference First Team selection and was also named the East Bladen High School’s team MVP in 2018. Smith’s speed and arm strength will be on full display at the lowest levels of the Yankees minor league system, but something tells me that with a little hard work from Sincere that he won’t be down there for long. Sincere has sincerely enjoyed the whole MLB Draft has experience and has already signed a deal with the New York Yankees, let’s welcome him not only to the organization but to the family as well. Unfortunately, we will have to do that the old-fashioned way as Sincere does not have any known Twitter or social media accounts as of the time of this writing.